The white-beaked dolphin is rotund and strongly built. 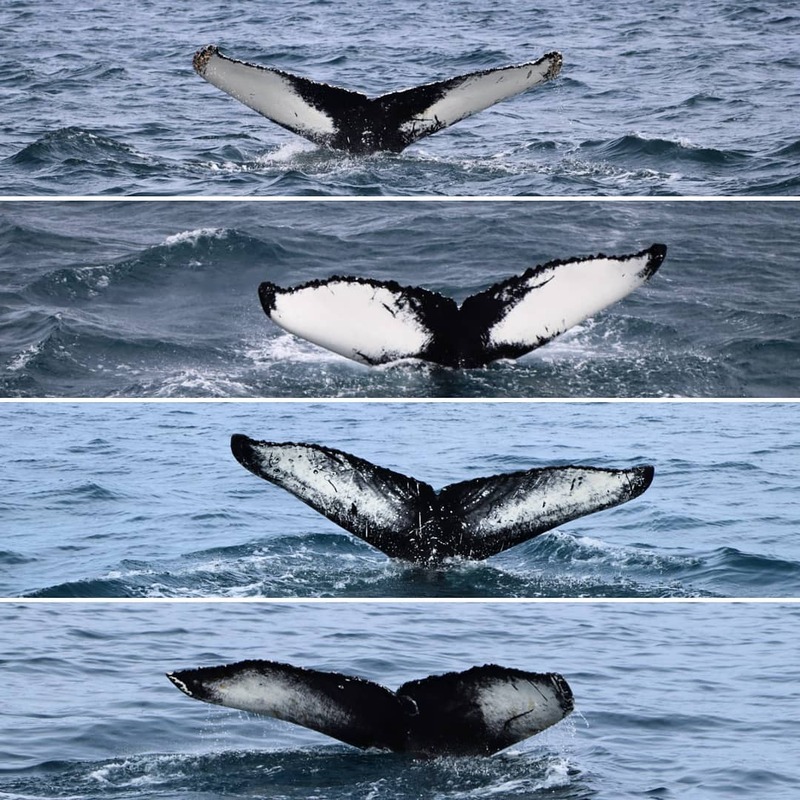 The dorsal fin lies mid-back and is quite high – can be about 15% of the total back length of an adult animal – and sharply pointed, especially on bulls. The beak is short, rather thick and can be white, brown or greyish in colour. The melon is fairly low. The flippers are long and broad, tapering sharply towards the front. The species is mostly dark on the back, with a light underside. A light grey saddle-shaped area on the rear of the back is one of the creature’s most obvious identifying marks. The sides show a random interplay of grey, black and white which varies between animals. The flukes have a median notch and are pointed at both ends. The white-beaked dolphin is powerful and moves at speed. Unlike most dolphins, it does not rise high out of the sea to blow; only lifting its melon from the water, thus creating turbulence around its beak. The spout can only be seen under the best of conditions. While feeding, white beaked dolphins often turn when they breathe, leaning off to one side as they dive. They are often energetic animals, although not quite as agile as some of their less heavily built cousins. However, they can be playful, jumping high out of the sea then landing with a great splash either on their side or back. A pod of dolphins can comprise anything from a few individuals to many hundreds. 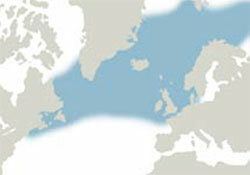 Text, distribution map and photo: Sigurður Ægisson. English translation: Frances Jane Milne McQueen and Rafn Kjartansson. 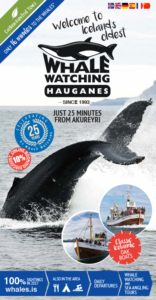 For a more detailed information see the book ‘Whales‘, by same men (Forlagið, 2010).